Archaeologists working on Bulgaria’s Perperikon site have found a 700 year old grave. They believe the burial contains the remains of a male, about 35 to 40 years of age, who was impaled with a ploughshare through left side of his chest. Archaeologists date the grave to the 13th or 14th century using coins found in the grave, but this date is presumptive without confirmation from other testing like radiocarbon dating. The Sozopol ‘vampire’ received tons of media attention last summer (links here and here for this story). 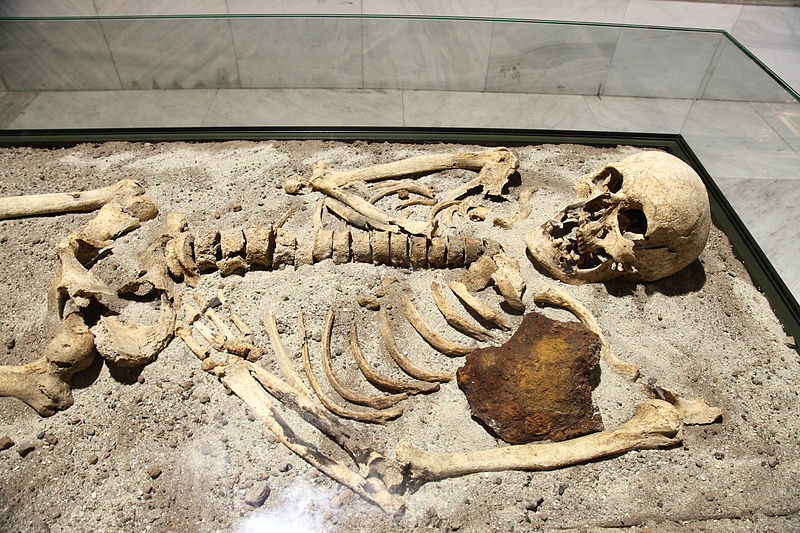 Archaeologists soon identified these remains as belonging to the famous Black Sea pirate, Krivich. A pirate who’s a vampire! This is asking to become romance novel or a Starz series. Picture of the Sozopol grave (pics of the Perperikon site aren’t available yet).